This halogen light has a curved lens with a trapezoidal pattern, so it throws light in a wide area at night. Weatherproof black ABS housing. Vertical adjustment. 4 3/4" diameter lens, mounts with bracket & hardware included. Fully adjustable. 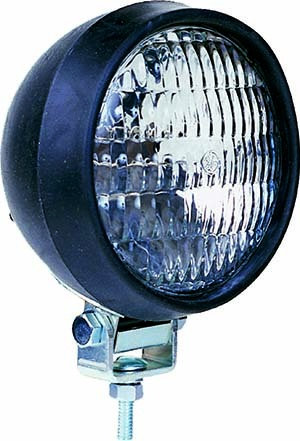 Features a bright 55 watt replaceable H3 halogen bulb. Must be wired in to 12 volt system, with on/off switch installed elsewhere.